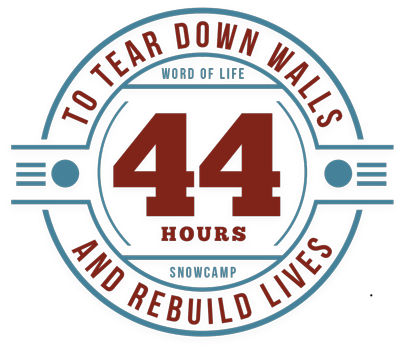 The Winter Retreats by Snowcamp program is a brand new opportunity for youth groups to create their own schedule, counsel their own students, and customize Snowcamp their way. So pack your bags and join us for 44 hours you won’t forget! The 2019 pricing for students is the same as regular Snowcamp pricing, however, leaders will receive a 50% discount. This is based on a 3-4 person room occupancy, so prices will vary if groups choose to have 2 people per room. 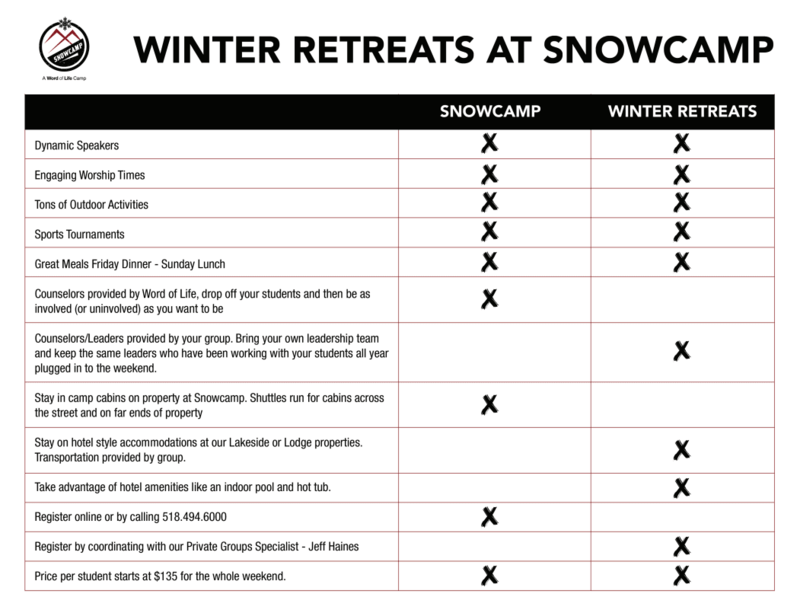 Join us for Winter Retreats by Snowcamp- for a Snowcamp experience your way!